Still tethered to your expensive landline handset? Walk free, and talk cheap with the Supafone – a cordless phone with ‘super powers’. This German-engineered device maximises your ADSL investment by carrying calls over your existing internet connection. 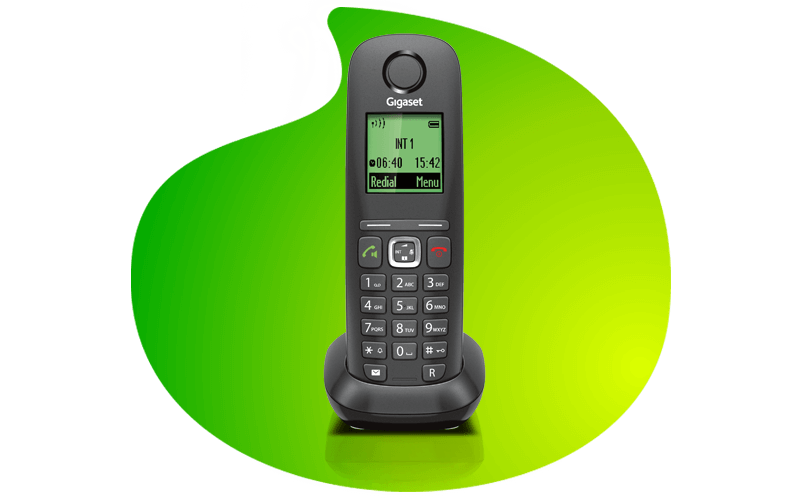 It will save you up to 30% on calls, is capable of HD sound quality and can connect up to six handsets. Supafone runs off ADSL, YahClick satellite, and other broadband services, and allows you to switch instantly between IP and fixed line calls. Supafone transfers between handsets and offers multiple simultaneous ADSL or satellite calls. No need for expensive or time-consuming installation. Supafone plugs directly into your existing router so you’re ready to go in seconds. Enjoy caller line identification, itemised call billing, free Vox-to-Vox calls and voicemail – at no extra spend. Plus earn rebates on incoming calls. Can I keep my number if I move to Vox SupaFone product? Can I add additional wireless handsets? Yes. Up to 5 additional handsets can be added to the existing solution. How many simultaneous calls can I make? Do I really qualify for rebates on calls I receive? Yes. Approximately 35% of the inbound call revenue is passed on the user by way of rebates. Are Vox to Vox calls free? Yes. Calls between Vox customers are free. How good is the call quality over ADSL? Call quality is very good, as the bandwidth required for a single call is very low when compared to the upload/download speed of the ADSL line. Please do bear in mind that ADSL is a broadband service so downloading huge volumes may impact call quality.